Status is more than an app, it's a community of people creating the tools and infrastructure to build a better web. 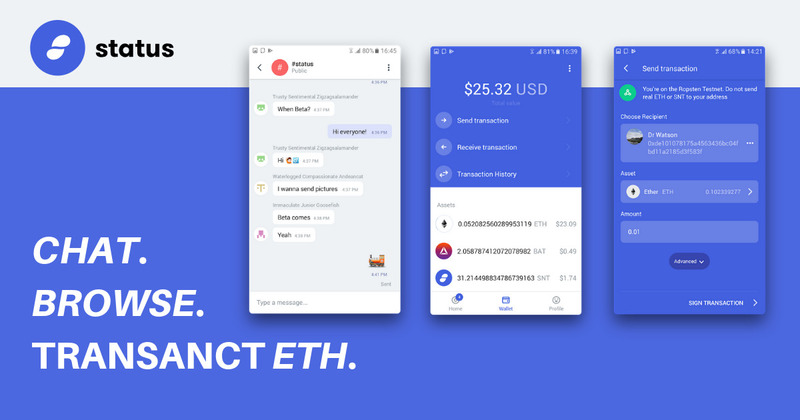 You can use tools like App to chat, transact and access the revolutionary new world of Dapps. Want to build your own Dapp? We've got you covered. From Incubate, supporting early stage startups with funding, technical mentorship, legal and regulatory compliance, to Embark which provides a simple, easy to use development framework and Studio, an integrated developer environment and educational platform. Whether you're on iOS, Android or desktop, Status has the community and the tools you need. Start building a better web with us today.